It’s often times hard when you’re on a diet to not get sick of eating the same thing over and over again. 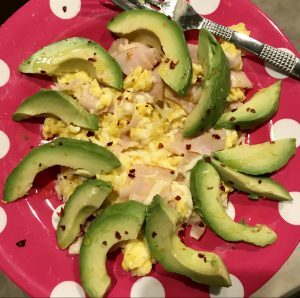 Diets like Keto with a strict criteria of what you can and cannot eat make it even harder. 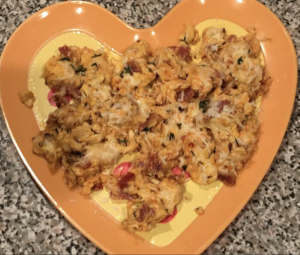 Enter my Keto egg scramble. 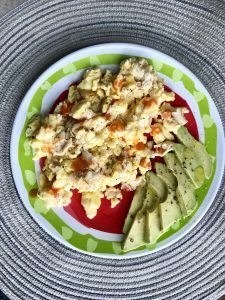 100% keto approved and endless possibilities to change the flavors around to avoid diet burn out. This also comes together in minutes, is served warm, and can be considered a snack or a meal. Heat a large frying pan over medium heat. I swear by these copper coated pans, never has making eggs and grilled cheese sandwiches been easier! 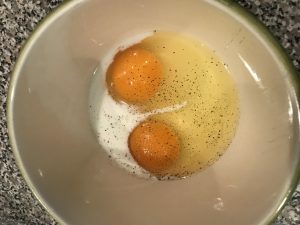 While your pan heats up break 2-3 eggs into a glass bowl. Add a splash of milk, salt and pepper, then whisk until smooth. Pour egg mixture into heated frying pan. 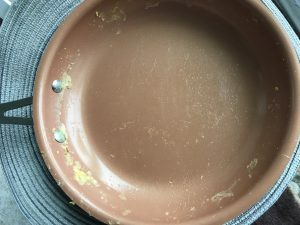 No butter, oil or nonstick spray needed when using the copper pans. With a rubber spatula move eggs around until cooked about 75% of the way, still wet but not all liquid. Dump in your lunch meat and cheese. Stir to combine, warm through and melt cheese. About a minute or 2 until the eggs are done. If you wish to add fresh veggies do so at this point and turn the heat down to low. 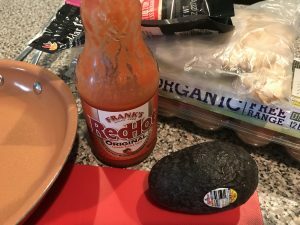 Once done, add as many additional toppings as you like, my husband usually goes for the hot sauce. Then serve warm with fresh avocado. I drizzle the avocado with extra virgin oil olive and a sprinkle of salt and pepper. There you have it, high protein, high in all the good fats, filling and completely Keto. My husband eats these breakfast, lunch and dinner. Also for a late night snack, mid-day snack or anytime he’s feeling extra hungry. The variations are endless. Turkey, cheddar, spinach is a popular one. Ham and swiss is another. Try pepperoni, mozzarella and pizza sauce if you’re feeling adventurous. Any combination of lunch meat and cheese will work so go with what you like and grow from there. My tip for this one is to master scrambling eggs. They were one of the first things I learned to cook and to do this day still one of the hardest to pull off. If I’ve learned anything, it’s to get a good frying pan, watch them carefully as they cook, and don’t forget the salt! 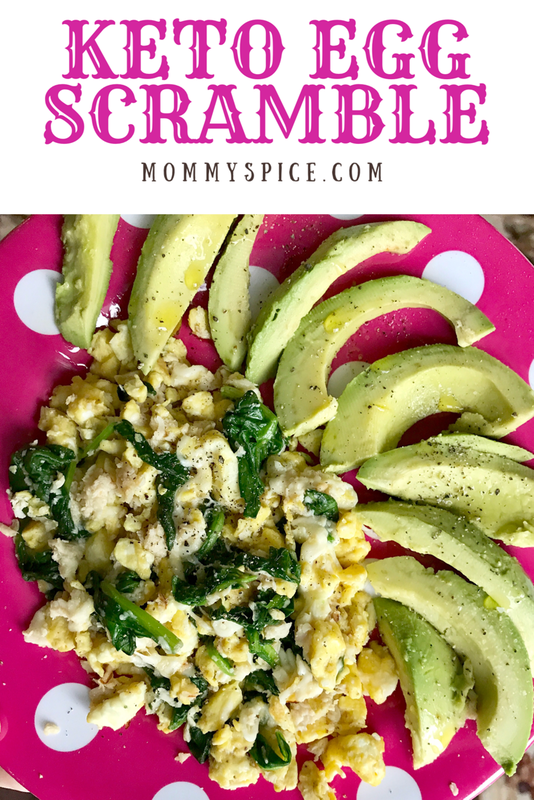 I usually like to add an additional sprinkle of salt over the scramble once it’s done. Even after all the eggs and cheese, you’re left with a pretty clean frying pan!! These copper pans are seriously awesome!